APOGEE is the annual, international technical festival of BITS Pilani. Apogee’18 will be the 36th edition of this technological symposium and shall be hosted in BITS Pilani from 21st-25th February, 2018. 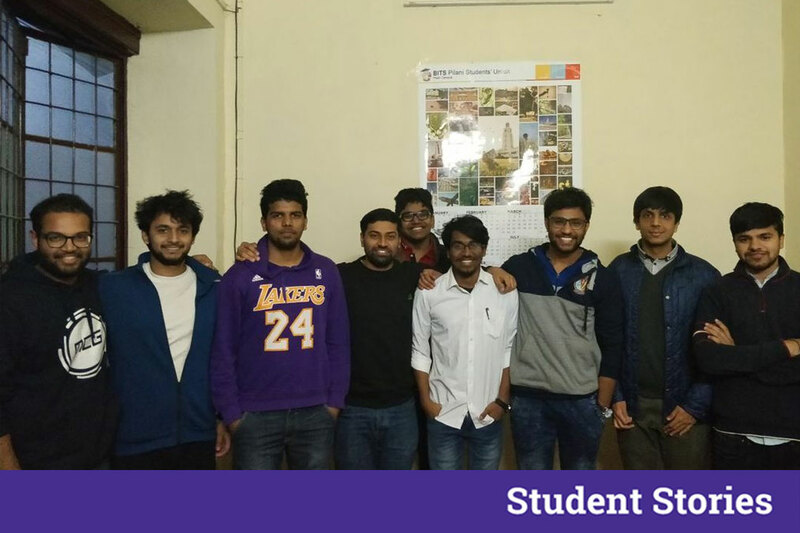 The aim is to connect students from campuses all over India by making them aware of Technical, Cultural, Management Fests, Workshops, Conferences, Seminars organized by each and every college in India. towards intellectual and innovative participation in the fest. Entertainment Stars like Zakir Khan, Abish Mathew, The Indian Jam Project, Roy Zaltsman, etc add flavour of the technical domain created around the campus. Let us hear more about the fest from the Management Team…. 1. Why did you name your fest APOGEE? What does it signify? 2. Apogee is one of the biggest technical fests across the country. How do you and your team work to fulfill the events? The group of 9 people called CoStAA manages the entire thing. They meet on periodic intervals and co-ordinate with various members of the co-curricular clubs and associations to make it happen. 3. This year the theme of Apogee is “Women Empowerment”. What inspired you to put forward this issue? The theme is ‘A Cybernetic Vision’ and the vision of APOGEE to a better society is Awareness of issues related to people. We started with children and somewhat women empowerment. Slowly we will try to touch all aspects of it. 4. Technical events usually are associated with the creative as well as the technical mindset of an individual. How do you people manage to include the fun part as well? Well, we conduct a variety of events. We have done core and technical, some general and entertaining. Our events like ‘stock market simulation’ ‘lift it up’ ‘water rocketry’ includes the fun part of the event section of the fest. And other than events, we have entertainment nights, exhibitions to make the audience more engaging towards the fest! 5. Every event has some blunders associated with it. Would you like to share any? The main blunder we were having was having two events at the same time as it was tough to schedule all events in 3 days, this time fest is of 4 days. So this shouldn’t persist any further. Glimpses of the event APOGEE! 6. Everyone in our society talks about problems and issues associated with women & children but hardly have we got any solution for it. How do you think will Apogee help in determining the solution? We have a couple of campaigns running under APOGEE. One to spread awareness regarding finance named ‘Financial literacy campaign’ to various students in schools placed around campus. Another is ‘MADAD’ (mental awareness dialogue and discussion) to discuss the issue of mental stress among children in the world of competition. We would also be having talks on various such social issues with big names like Karuna Nandi, Sudha Menon, an entrepreneur panel of girl and their success stories! 7. If we ask you to describe Apogee in your words, what would it be? Taking all your experiences and memories, what significance does Apogee has in your life? For me, APOGEE is a platform where one gets closer to reality, to his/her core, realizes what things he/she interested in! Being one of India’s finest engineering colleges, a technical fest should be of a great stature, and so is our aim, to make APOGEE bigger, better and bonzer! SEE YOU GUYS AT APOGEE’18. The Most Promising Cultural And Management Fest Is Here – Brace Yourselves For GENESIS 2018 ! Get Ready To Witness The Asia’s Largest Technical And Entrepreneurial Festival Hosted By IIT Kanpur – Techkriti! 15th-18th March It Is!! The Largest Civil Engineering Fest Of The Country Is Here! IIT Bombay Presents The 10th Edition Of Aakaar on 17th-18th March 2018.